> Lobby Cards and Photos>Movie Stills>CURSE OF THE WEREWOLF color English FOH LC '61 Hammer, villagers stare up at Oliver Reed! 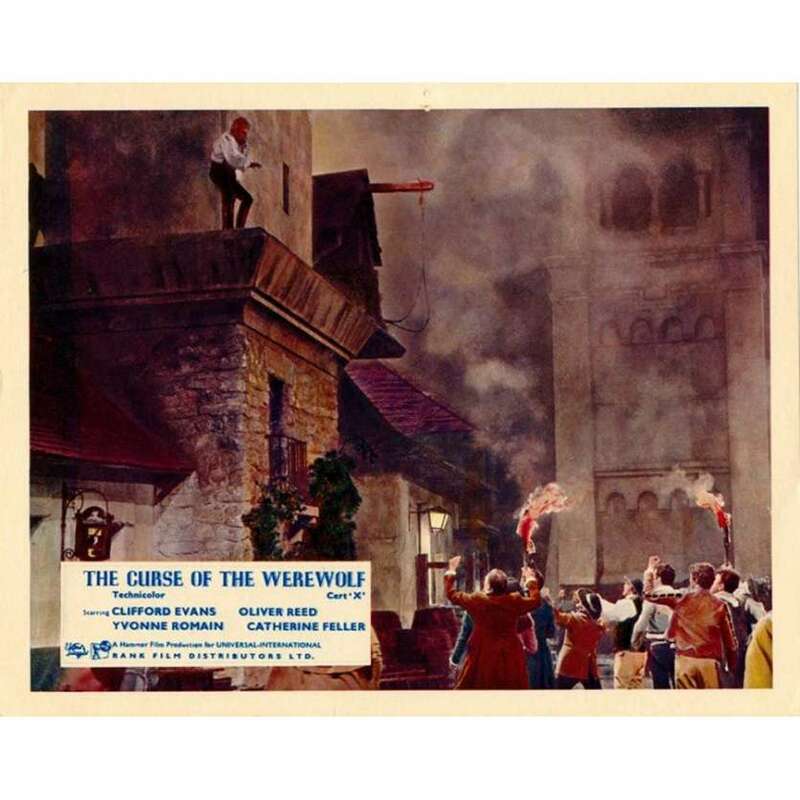 CURSE OF THE WEREWOLF color English FOH LC '61 Hammer, villagers stare up at Oliver Reed! 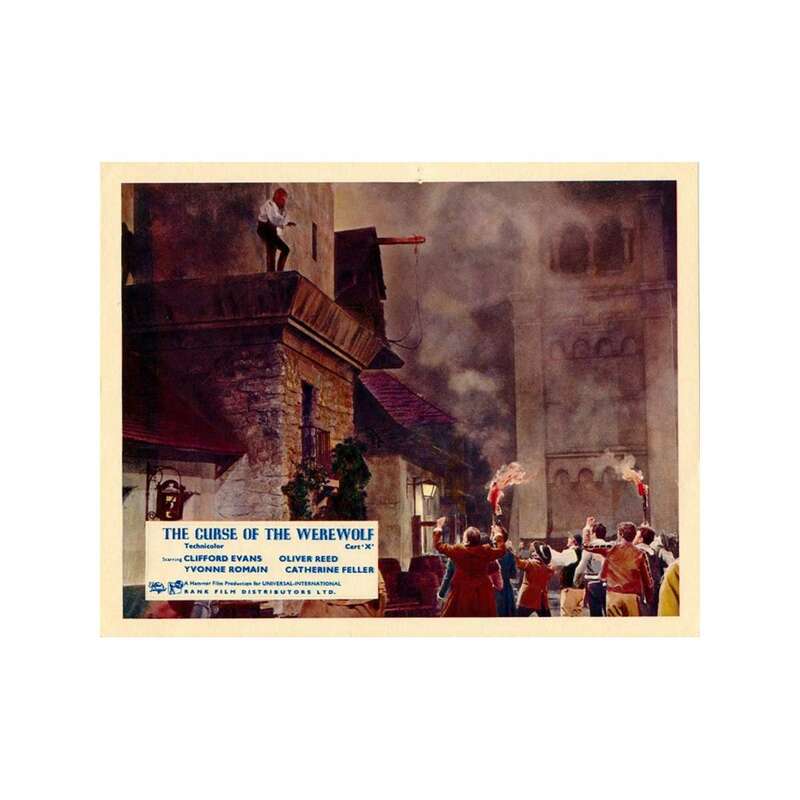 An Original Vintage Theater-Used English Front of House Movie Lobby Card (FOH LC; 8x10; measures 8" x 10") Condition: Very Good (C6) See our 10 GRADE SYSTEM Page for more information. The Curse of the Werewolf (1961) is a British film based on the novel The Werewolf of Paris by Guy Endore. The film was made by the British film studio Hammer Film Productions and was shot at Bray Studios. Important Added Info: Note that this is a "country of origin" lobby card for this English movie!